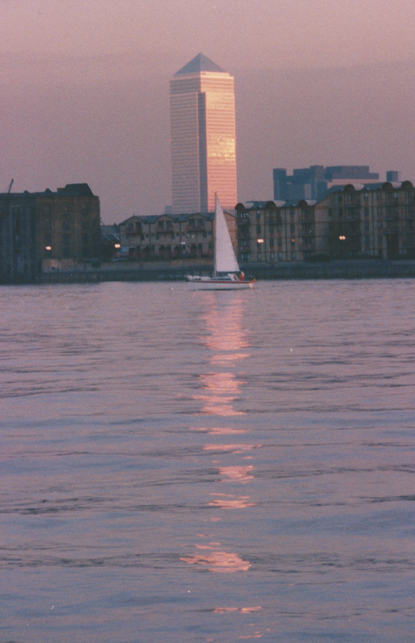 One Canada Square in the early 1990s when it was the only tower on Canary Wharf and the tallest in London. The view of Canary Wharf on the Isle of Dogs which Joe finds so fascinating at night when taking his walks along the river, absorbing the sounds and sights. "A fairyland of bad fairies" is how he describes it, the continual growth of which he has witnessed during the two decades he has lived by the Thames. 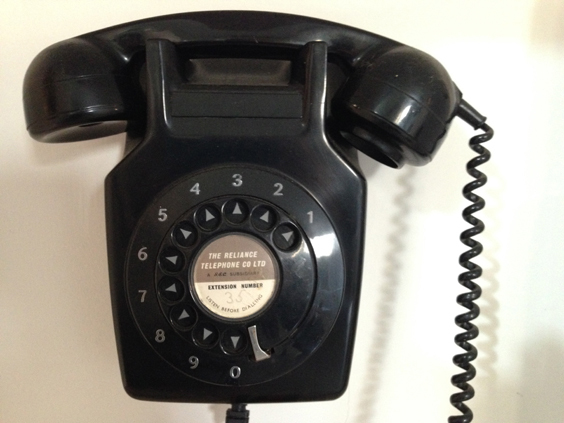 The direct telephone hotline from the house in Enderby Street to Lovell's Wharf, which remained in place if not in use, as a reminder of its connection to the river, after Joe bought the house from Kenny Tabor, Lovell's last crane driver. 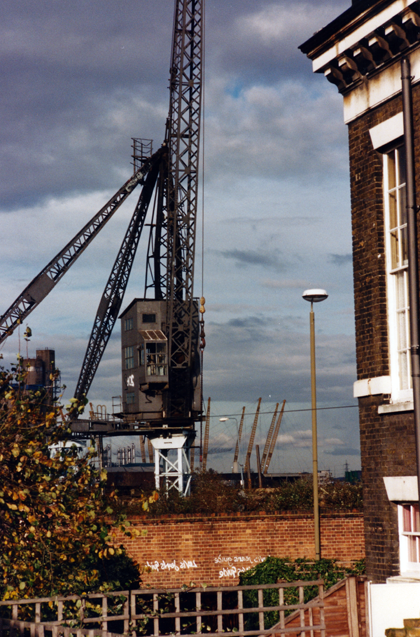 Joe Hambrook recalls buying his house on Enderby Street from Kenny Tabor, the last crane driver to work at Lovell's Wharf in East Greenwich. He reminisces about the local community and the sounds and sights of the Thames, visible from the rear bedroom of his house. He recalls the wide variety of jobs he has had in his lifetime from schoolmaster at Eton, to assisting Robert Graves in Majorca, from working with renowned animator Richard Williams to making educational videos for the BBC, from secondment to the Children's Television Workshop in New York to working with Jim Henson's Muppets on an English language teaching project. For Joe and his wife Maureen, who was a keen photographer, the river became as much a part of their lives as the blood flowing through their veins, and when she died in 2009 it was to the river that Joe and their children committed her ashes.